Chairman Mau5 | A reclusive Canadian computer geek gets his revenge via mouse ears. Photograph: Courtesy of MSO EARS LOOKING AT YOU He&#8217;s alright with cheese. It began, we’ve been told, with a stinky dead rodent inside Joel Zimmerman’s old PC, which inspired an eight-character screen name—Deadmau5 (pronounced “Deadmouse”)—for use on snobby IRC chat boards. 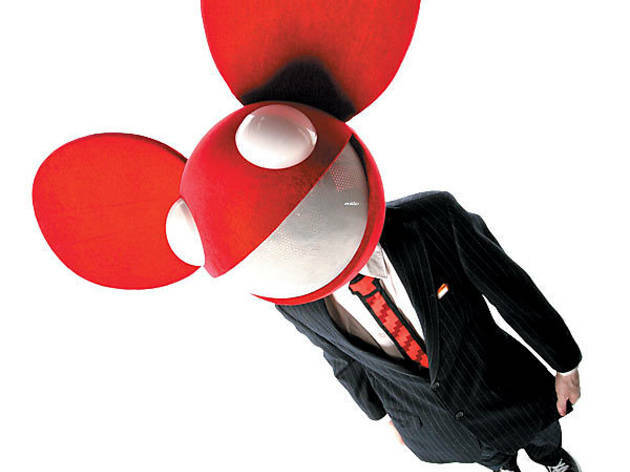 A few years later, Deadmau5 is perhaps the biggest sensation in electro-house-trance-progressive club music on the continent. The unfortunate critter, like the butterfly flapping its wings in chaos theory, has had a massive effect on mainstream dance music. And it’s only begun. Deadmau5’s debut album, Random Album Title, was released digitally last week, to be followed by a hard-copy version in November. So this fall, Zimmerman, who tells us that he’s neither a huge fan of flying nor touring in general, embarks on a 50-plus-city trot performing live wearing his now signature Mau5 mask. Things have happened fast for the former interactive animator from Toronto—Zimmerman says that, for the most part, the world of dance clubs and DJs is still new to him. Technically, he’s never spun records or CDs for people—though he is the guy in the booth, he’s not a DJ but rather a live digital performer. “I didn’t come up as a DJ so I don’t play by DJ rules,” he says. Live, Deadmau5 performs with laptops running Ableton software, a JazzMutant Lemur controller plus a minimalist interface called a Monome. Zimmerman’s musical background is experimental—he counts Warp and Ninja Tune as more influential labels than Black Hole. He spent 13 years making underground electronic music while working jobs in Flash programming and getting an occasional remix thrown his way. “I was kind of a secret superstar in a lot of very niche communities,” he says. In early 2007, his “Faxing Berlin,” the one track he considered clubby, found its way to DJ Chris Lake, who passed it to BBC DJ Pete Tong. With that heat, Zimmerman cranked out a dozen filthy progressive house tracks under the Deadmau5 name, which mega-DJs Tiësto and Armin van Buuren picked up for compilations. 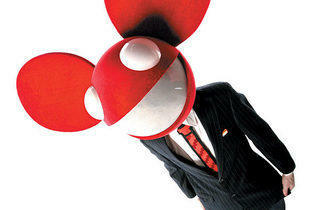 Deadmau5 plays House of Blues, Friday 5.